Public Service Commission (Log Sewa Aayog) was established in Nepal on 15 June 1951 A.D. The Commission is involved in selecting meritorious candidates required by Government of Nepal for various vacant posts of the civil service. The continuity of PSC has never been hindered since its establishment. Present Constitution of Nepal 2007(2063 BS) has designated the Public Service Commission as an independent constitutional body. 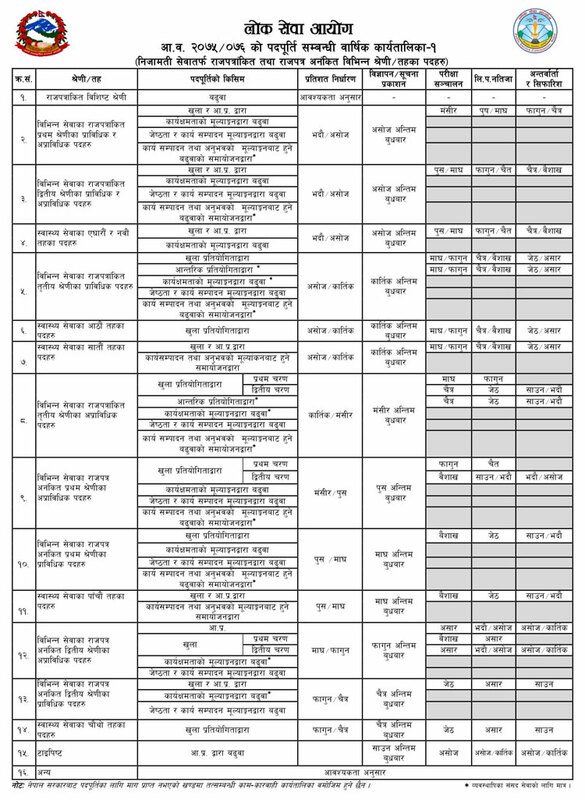 In order to carry out selection process, the Commission publishes vacancy announcement for the concerned candidates in its weekly bulletins published every Wednesday as well as in the "Gorkhapatra", a national daily. The Commission has also adopted an annual calendar of operation of its activities which incorporates all the details of phases of the selection process. 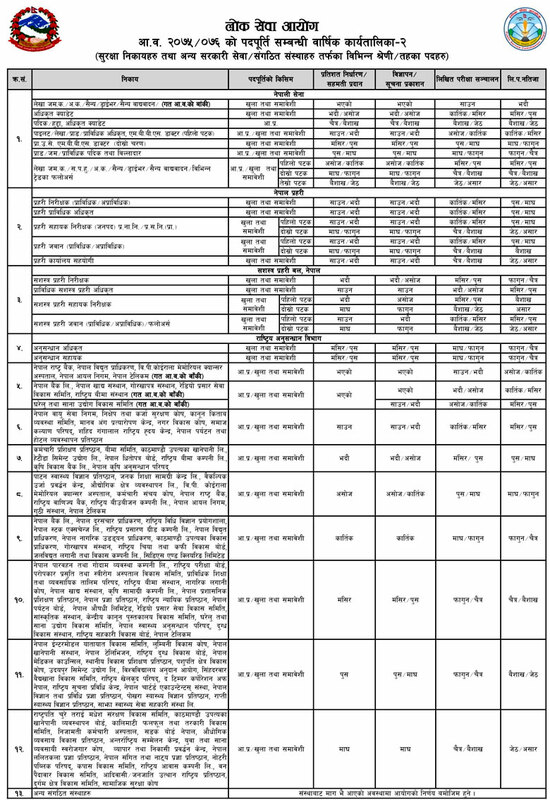 Lok Sewa Aayog (Public Service Commission) has published yearly calendar for the year 2075/2076. for both Non Technical and Technical category, for Non Gazetted Officers (Kharidar, Nayab Subba etc.) and Gazetted Officers ( Section Officer, Deputy Secretary etc) .